Out of the mouth of babes, I guess. 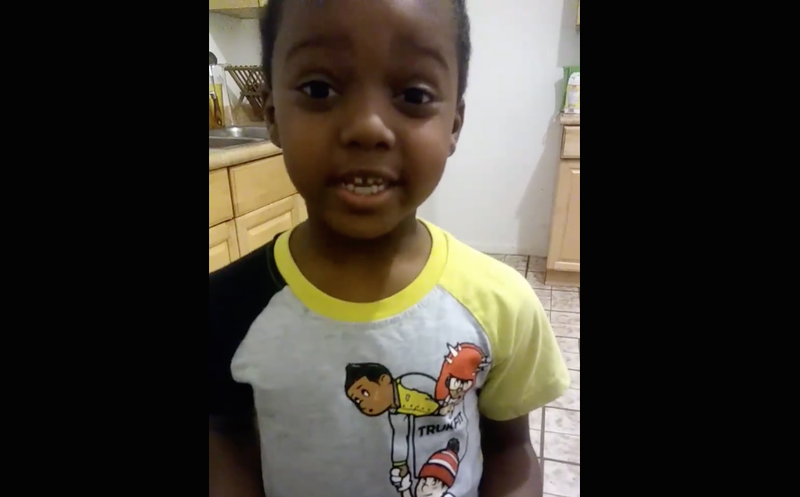 A St. Louis 6-year-old boy’s plea to his audience to stop the violence has gone viral with the help of his mother, who posted a video of the precocious child’s words on Facebook. “People need to stop killing each other because this is just making me feel bad,” the little boy, identified by the St. Louis Post-Dispatch as Jeffrey Laney, says to the camera. According to Cheatham, the death of her cousin, 17-year-old Taylor Simpson, who was killed in a drive-by shooting last month, also helped spur her son into action. Simpson’s death took a toll on Cheatham p, and watching her struggle with the loss led Jeffrey to speak out. While the mother and son were discussing violence, she decided to film her son’s response. “I don’t want nothing to happen to all my family, and I’m really serious because I’m really scared to die and I’m really scared for my family to die,” the kindergartner says in the video. The 28-year-old mother works at the St. Louis Justice Center, taking inventory of prisoner possessions and other data, according to the report. “I remind him every day that that is the one place he don’t want to be and that there are a lot of bad people out there,” Cheatham said. Jeffrey indeed knows a lot about what goes on beyond the comfort of his home. “I know about all bad stuff,” he says in the video. “I’m a kid. I don’t ’posed to be knowing all this stuff. I don’t ’posed to be knowing about all these guns. “I’m supposed to be knowing about school,” he adds. “I know about school. I know my numbers, but people need to stop killing each other. This is really bad for people. The video has been viewed more than 85,000 times on Facebook and has been shared more than 3,700 times. “My Son has A message for St Louis before bed... Our kids are tired!! wake up people.. Lil J had me in tears.. I can’t fail him !! At Six years old !! !” his mother captioned the video.